For the Smash community, Genesis tends to be one of the biggest super majors of the year. Last weekend, Liquid|HungryBox was able to win it for the first time. Previously, the only other competitors that achieved this were C9|Mango, PG|Plup, and Alliance|Armada (three times). As many already know, HungryBox was able to do it at Genesis 6 with Jigglypuff. It can be said that no other player has really been able to achieve what HungryBox has done with the balloon Pokémon, especially after Mango focused on other characters. The combatant has to be played dramatically differently from others like Fox as a result of its attributes. Jigglypuff is one of the lightest fighters with an excellent recovery, slow fall speed, fast aerial speed, and multiple jumps. Now while this next point is very argumentative, some could say that the balloon Pokémon is "killing" the Super Smash Bros. Melee scene — or could kill it if more players picked the fighter up. Notably, Super Smash Bros. Melee is a game that was released over 17 years ago and still sees competition as later titles in the series took things in a different direction. 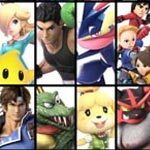 It appears that some players would like for Jigglypuff and the Ice Climbers' wobbling technique (grab infinite) to be banned from competitive play. In some ways, it could be said that these two things are the "antithesis" of the fast paced action that Super Smash Bros. Melee encourages. 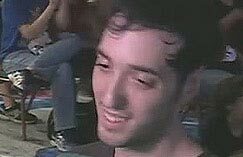 This discussion has apparently been spurred on against due to a (now deleted) comment Plup made following the events of Genesis 6 and the decision by Tennessee to ban wobbling in four out of six cities. Specifically Plup mentioned that he is considering taking a break from the game as he's tired of fighting the combatant. While he wasn't trying to incite the ban discussions, he did reiterate that he was bored of the match up. In response to this, TSM|Leffen released a video that mostly focuses on Jigglypuff. At one point, he mentioned how much fun he was having in Dragon Ball FighterZ and Super Smash Bros. Ultimate over his favorite game of all time, Super Smash Bros. Melee, because of how Jigglypuff is designed in Melee. Most people might already know this but the two competitors tend to not be the best of friends. During the video, he is up front about the fact that he has a personal bias against HungryBox and that this could potentially skew his view on the subject matter. Having said all that, Leffen very clearly states that he disagrees with giving players grief about choosing Jigglypuff or using wobbling. Since July 8, 2006, Fox has been regarded as the number one character in Super Smash Bros. Melee. Leffen actually argues that Jigglypuff is actually the best character for reasons outside of the game itself. He feels as though there will always be something that "goes wrong" during these events. When that happens, the "easier character" user benefits from the situation. It is argued in the video that Puff's only counters are combatants that are extremely difficult to play optimally. Winning requires a unique play style than what most might be used to. Even something like the tournament venue becoming "too cold" can supposedly interfere with the performance of someone playing, for example, Fox. Interestingly enough, Leffen states that he believes Fox under these conditions is only the second best in the game. Maybe third. Overall, he places a lot of value on the "ease of use" a character offers in fighting games. It is then stated that he doesn't want to pick up Jigglypuff himself as he is afraid that it would kill the game if other players followed his example. He believes that too many people playing the character would be bad for the health of the game. Surprisingly, Leffen is actually against the ban. He would prefer to see experimentation with limitations, like a ledge grab limit. Alternatively, extra stage bans for the other competitor could work. This is similar to how Ice Climbers are not allowed to continue wobbling after 150% damage is accrued by the opponent. If left uncheck, a match would technically be over after the first Ice Climbers grab as they would lock the opponent in an infinite until the timer expired. Again, Leffen is not for a wobble ban. He even appears to defend it but thinks it could be good to impose other limitations. As a word of warning, there's a lot of NSFW language featured in the video.